"One of the best investments made in recent months"
Customer support is phenomenal. I also admire how quickly this service makes progress. No Matomo Analytics integration. I'm talking about events. I use Google Analytics too and this one is supported, but Matomo gives me different data, so I use both. Event integration with Matomo is almost the same as integration with GA, so I hope it will be implemented one day. If you are considering any call back service you should definitely have a closer look at Novocall. I'm not the one who uses Novocall as a consultant, but I have been told by my colleagues many times that this was a smart choice. I have not been thinking about a call back service until one day I realized that this is my preferable way of contact with companies that offer this kind of widget. And the reason is not money saving (as a client) but time saving. I really hate waiting on the phone for a consultant so much. I do! So when I installed Novocall on our website I instantly realized that there are more people like me. "Great Product and Awesommme Support!" One of the best things about Novocall is probably their team - they listen to their users and JJ responded to me within seconds! Setup took less than 20 minutes and when I had questions these guys got back to me at 2 am in the morning! Professionally looking end product. It does exactly what it says. Widget sits nicely on my Weebly website, looks very good and works flawlessly. I can't integrate with my google calendar. The last thing I want is for a prospect to schedule a call with me and me not be able to return the call. Inability to handle different company names for different widgets and clients drives me nuts. No Zapier or webhooks yet so automation is out of reach for now. Very flexible implementation. Give your website a more professional feel. It was easy to use, it provides instant results which was able prove the value of my digital campaign in other channels that is hard to track. It works as it is described. There is nothing notably to dislike. Great if you are selling a complex product/service. Can consider joining their partners program. Customer retention is a problem for most agencies. As i provide a new way of converting customers and is able to attribute it to my campaign, our customers will be happy and stay with us longer. "The perfect solution if you're doing business by phone"
Easy setup. Got it working in about 15 minutes and received first phone call the next day. Customizable widget (design and triggers). I don't like that configuring the SMS text is only in the Team subscription plan. I put the widget on my website so my clients can request the call from me. It's really convenient for them. * We monitor all Novocall reviews to prevent fraudulent reviews and keep review quality high. We do not post reviews by company employees or direct competitors. Validated reviews require the user to submit a screenshot of the product containing their user ID, in order to verify a user is an actual user of the product. Hi there! 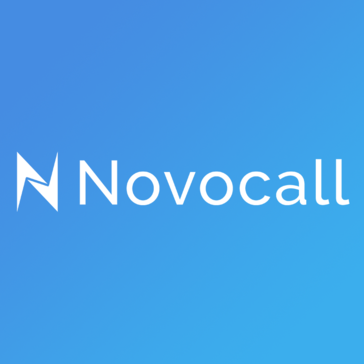 Are you looking to implement a solution like Novocall?